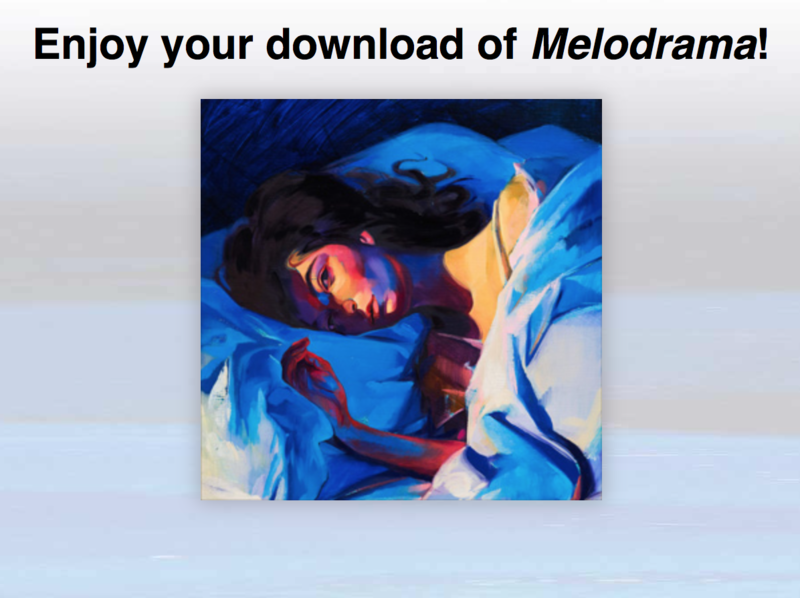 Lorde’s new album “Melodrama” was released on June 16, 2017. And I got a free download of it. The download was a code that my local radio station X96 sent me. They posted a tweet that said to text them a code via their SMS texting number. I was quick enough on the text and they sent me back a link, which took me to a site to download each song of the album. They give you 3 tries to download the songs, just in case your internet connection takes a dump while you are mid-download. It’s really good. A nice mix of fast, pop and slowed down music notes. It’s has a nice fresh sound to it, compared to her last album “Pure Heroine” which was very break through in a mature sense of the fact this was a New Zealand teen releasing an album that didn’t really scream pop, even though it was categorized as pop on some levels. The more I listen to it, it’s obvious Lorde has aged into an adult and has gone through a bad breakup. But this isn’t like when Taylor Swift breaks up with someone and writes a song. The lyrics are pretty heartfelt. Have any of you heard the new Lorde album yet? Post your thoughts below. Something new for me to Spotify! Woo! Will be curious what you think of the album after a few listens. I really like the new album. It’s always going to be hard to top Pure Heroine though. That was such a good album. Yeah, Pure Heroine was a great debut album. I saw Lorde perform many of the songs live in Oct 2014 and they hold up great.